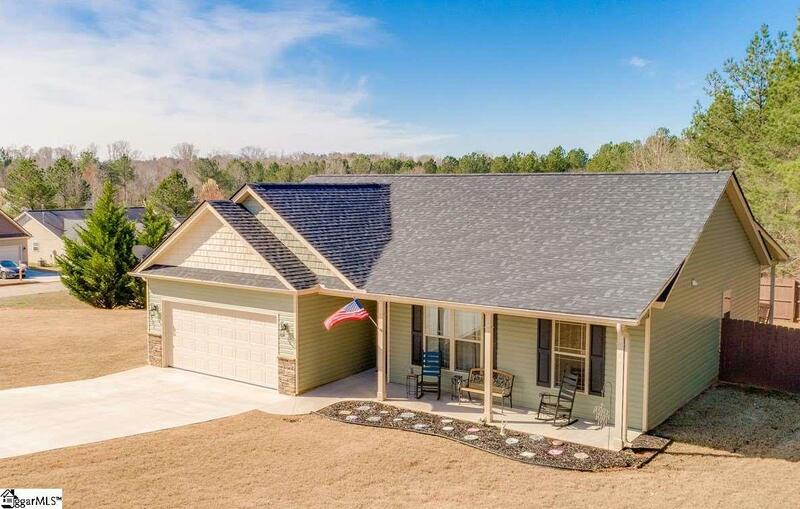 NESTLED on a beautiful PRIVATE LOT at the back of a SWEET RURAL SUBDIVISION, Liberty Ridge, just MINUTES TO Clemson, Central, Norris, Liberty and Easley, this NEARLY-NEW one-story CRAFTSMAN is move-in ready. 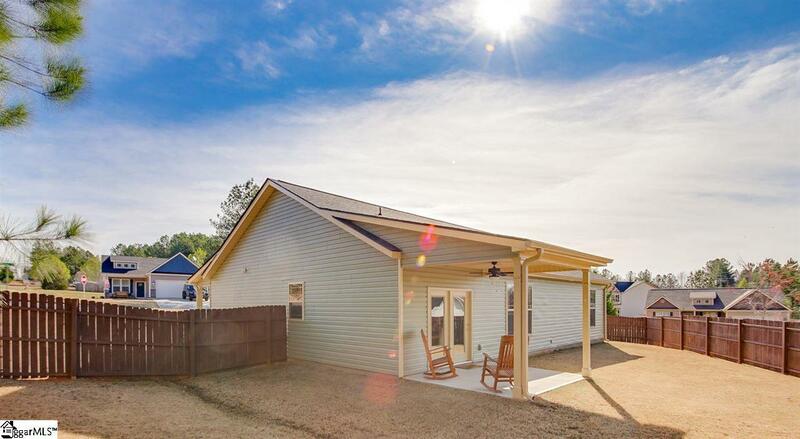 It comes fully loaded: WAINSCOTING, 9FT+ CEILINGS, hardwoods, CERAMIC TILE, ventless GAS FP, TANKLESS WATER HEATER, plus a COMPLETE APPLIANCE PACKAGE including washer & dryer. It does not take long after entering the foyer to realize how special this BABY BEAR ["just right"] home is. Note the CRAFTSMAN STYLE WINDOWS and INTERIOR DOORS, COFFERED ceilings in the foyer and dining room. 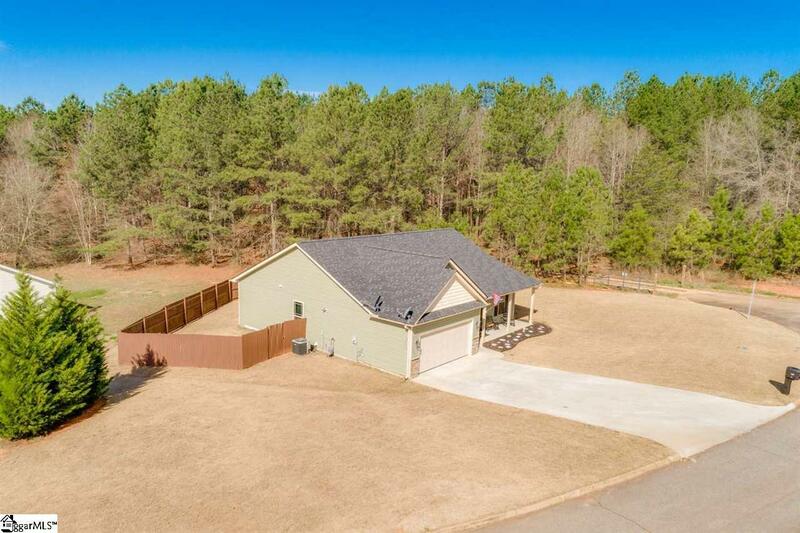 Pass by the doors to the EPOXIED GARAGE and WALK-IN LAUNDRY ROOM to discover a Great Room with CORNER FIREPLACE open to the Breakfast Nook/DR on one end and the kitchen on the other. You will never want to leave the kitchen. It begs activity from the LUNCH BAR, to the ENDLESS GRANITE counter tops, to the stainless steel appliances [INCLUDING CONVECTION OVEN AND MICROWAVE] and PANTRY. The abundant 42" EXPRESSO cabinets offer plenty of storage for the best of foodies. Off the breakfast Breakfast Nook/DR is a lovely COVERED PATIO from which to enjoy privacy, entertaining, grilling and gardening--all within the confines of a FENCED BACKYARD. In the MBR suite note the LINEN CLOSET, double SHOWER WITH BENCH, DOUBLE SINKS and ceramic tile floor. On the other side of the home are two secondary bedrooms and a full bath for play or work or guests. ABUNDANT NATURAL LIGHT fills every room. This is a HAPPY home. Make it yours today!! 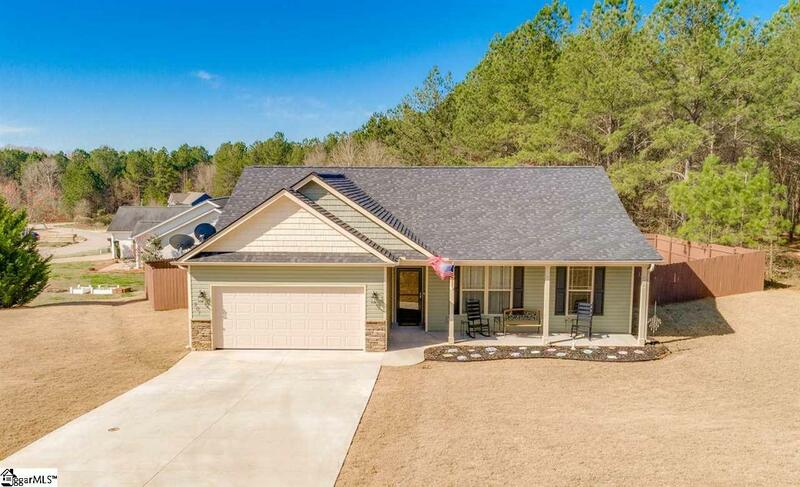 Listing provided courtesy of Beth French of Bhhs C Dan Joyner - Pelham.